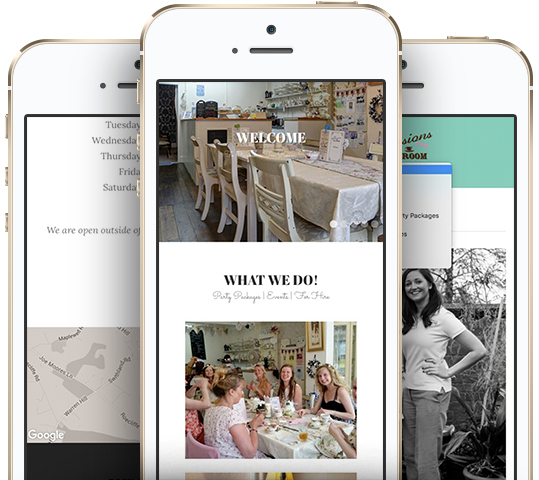 CMS WordPress website supporting upcoming and past event listing, reportage photos, items for hire, tea room opening hours and menu and table booking integration. 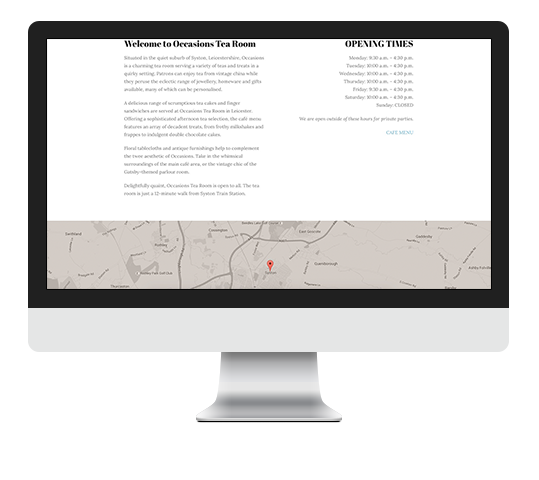 The built in map on the contact page has been a great hit. 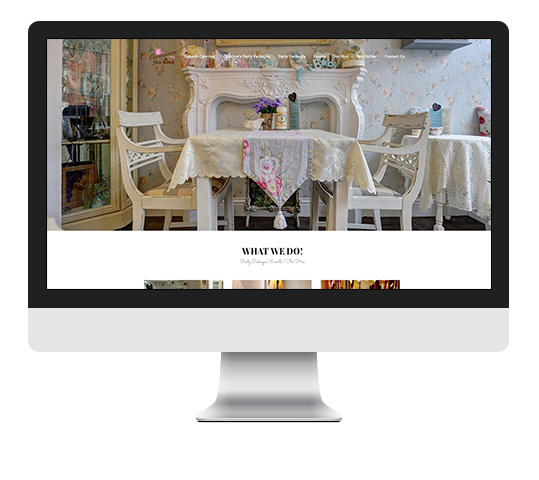 Client finds the website easy to update content wise and we love how pretty it is also! Looking great on mobile and flexible too. Great for customers on the go looking for directions also.